Twitter again and something called Scribble. Each time Ireland played in the 6 nations, dozens or perhaps hundreds of people got together to shout and roar but together for them was via Twitter as they watched the match wherever they happened to be. They joined a devoted crowd that were connected via twitter. For the France Ireland game, each time they made a comment on the game they added a tag #merde to it. Patrick Phelan ran graphs on this later on to see the frequency of words in those tagged messages. Each time the Dragon’s Den in Ireland is watched, online people use the tag #ddire to record their shouts, their sneers, their sincere belief a Dragon is useless. Using an online application called Scribble Simon McGarr and others were live-blogging Questions and Answers and the Fianna Fáil Ard Fheis and the Green Party Conference. The Greens even put/linked to the live blog from their main website. The last episode of the L Word was liveblogged by the women from Gaelick. When I was on Primetime the other night there was a surge of Google searches for my name by people watching the show and when people on Twitter were commenting on it live, people started adding me to Twitter. See, nowadays we don’t just watch TV, we watch TV and we surf the net. Watcht he TV, laptop on knees. Instead of channel hopping, we’re media hopping from one to the other and back again. This is going back to my other blog post about shared experiences and Twitter and all the rest, We can be in our living rooms and on Twitter at the same time, sharing both experiences. Do you remember the show Mystery Science Threatre 3000 where they comment on movies and make quips? It’s real and distributed online. It’s the director’s commentary but done by the public. So Sky is there and the Beeb talking about their big red buttons and putting phonelines into the back of them and having people dial home and all that, yet anyone with a banger of a TV on a dodgy signal or even watching online can fully interact once they have some kind of net connection and it’s infrastructure free. Cheap as chips! So what can the likes of RTE do about this? Tell people where this commentary is happening. Encourage them to go to these places and leave comments and join with the people already there. You know what will happen? Viewerships will go up. Once again the old-style family gatherings will happen but the family might not be in the same room, or city or country. Planet, yeah. Some are doing it though. Phantom are doing it. Rick on 2FM is doing it and Ray Foley on TodayFM. Then there’s that Hook lad who even did live video. You want audience reaction? There you have it. Not enough time for the Last Word and the commentators on it? Direct it online. Keep your show and the debate going. JNLR? Fuckit, this is more real. Real people are giving real opinions. No boxes to be installed in a home. Then the brave media folks will join that conversation and work with their audience on building something even better. Tada. 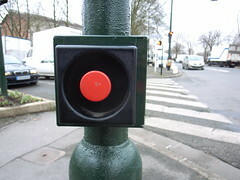 This entry was posted on Wednesday, March 18th, 2009 at 10:11 am	and is filed under business, irishblogs, technology. You can follow any responses to this entry through the RSS 2.0 feed. Both comments and pings are currently closed. The power is moving to the people. And with twitter that voice is getting louder. You could even see it last night after the Paddy’s Day Simpsons episode. Instant feedback – in this case that it was shite! I’d been pondering this for a while – have you noticed that the miscellaneous events – fringe sports, live political stuff – that BBC, Channel 4 et al broadcast via the red button, RTE do online? I’d thought they’d missed a beat or simply weren’t advanced enough to take care of it but perhaps there may have been a logic to their ignorance of Interactive TV. Now there’s a thought – that RTE stood to one side while Sky and BBC went hammer and tongs at interactive TV, and nipped in when the battles had been fought to death with something far more accessible to all of us? It seems to me that if there is to be an update of the Questions and Answers format it *must* take account of liveblogging. If I were in RTE I’d be putting in a line item in the budget to support exactly that kind of conversation. The BBC, back in the 1960s, used to run audience panels where they asked a cross section of people to give responses to the programmes they’d seen. These would be presented to the Producers to consider before the next outing. Now they don’t even have to wait overnight to take the temperature of the viewers. It’s great, these changes! I find it exciting. Now… go enjoy your holiday! If we could just get the presenters to tell us to follow @tv_program_name or #tv_program_name etc, might get more people to use it. I would normally use twitter (on my ipod) during tv shows that I know beforehand will have a twitter following, like #ddire for instance. Great post. Being thinking along those lines myself over the past few months. The first time I saw it on Twitter was with TV3’s Apprentice. Traditional media can benefit tremendously from tuning in to this live feed of listeners/viewers. George Hook has been experimenting with Twitter to source topics for his radio show. Fantastic post Damien. 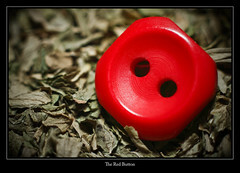 Manages to tie up a couple of loose threads, to continue the red button theme. great stuff Damien, I am most interested in Twitter’s endless possibilities in improving the content of conferences/seminars, conducting surveys of the audicence, getting real time feedback in addition to live reports on conference content. I think the next year will see conference and event leaders emerge in this area. Nice post, Damien. Media hopping, as you put it, should be good for content in the long run, because it helps escape the limitations of the original form and increases its possibilities. Live collective feedback ups the ante. As McLuhan wrote (in 1960! ), “The new media aren’t just gimmicks for creating worlds of illusion, but new languages with new and unique powers of expression.” Right now it’s blogs, Twitter and their kin through which people online distribute their reactions, but what will it be in ten or fifty years’ time?